Thanks to blockchain and cryptocurrency, Japan’s economy may have greener pastures ahead. As the country’s GDP growth shrinks to lows last seen in the 1990s financial crisis — a.k.a. the “lost decade” — economists point to a technological boom as a potential catalyst for recovery. 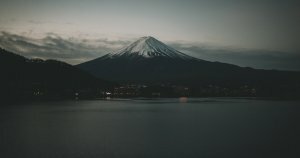 Now the second-largest cryptocurrency market in the world, Japan may engineer its own salvation as a world leader of the of the fourth industrial revolution (4IR). Characterized by the fusion of IoT, AI, robotics, blockchain and various breakthrough technologies — the 4IR might be seen as a smorgasbord of Japan’s strong-suits.